Bixby Bridge and Milky Way - A7r3, 14mm, f/2, 30s, ISO 6400. 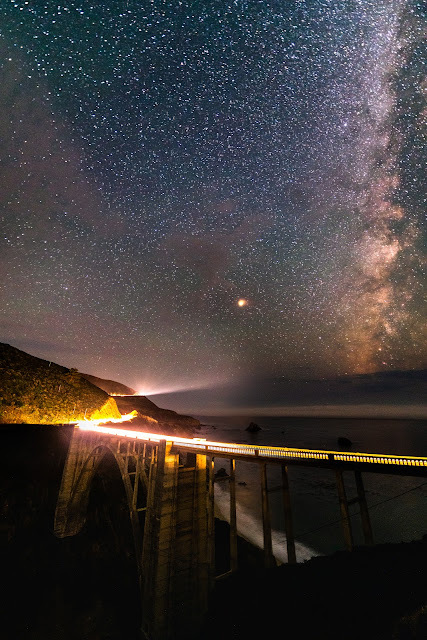 I stopped off at Bixby Bridge on my way back Friday night (technically Saturday morning since it was 1:45AM) and the fog had mostly cleared so I figured I would make a quick image. There were still some clouds hugging the cliffs which lit up nicely in the first frame I captured.